Las Vegas has a rich history of combining drinks and debauchery. 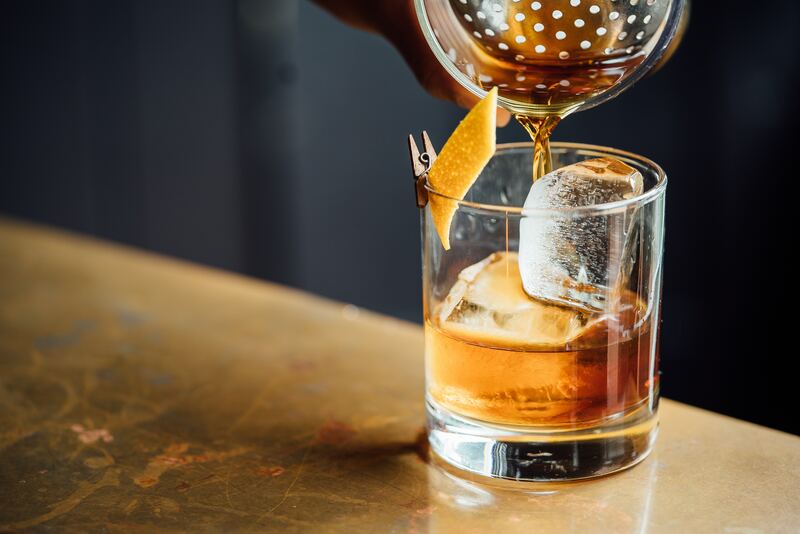 Standing the test of time, Downtown Las Vegas still hosts a slew of bars and speakeasies that inspire every local and tourist to engage in some old-fashioned drinking. DTLV continues to offer an experience that you won’t want to miss. So where do we get a prohibition-style cocktail around here during a pub crawl? 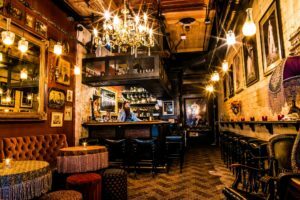 How about a Prohibition-inspired speakeasy, as well as the many other unique DTLV bars sprinkled on Fremont Street in Downtown Las Vegas? The Best DTLV Bars and Las Vegas Speakeasies! The Laundry Room is one of the worst-kept secret speakeasy bars in Downtown Las Vegas. Tucked inside (literally, you can’t see it from inside Commonwealth) the infamous reputation of the challenge gaining admittance precedes its tales of wonders and ambiance. Which might make it that much more enjoyable, because once you’re in, it’s brilliant. Located through a sliver in the wall under the staircase, entry is like a portal to a trip back to 1920. At this Downtown Las Vegas speakeasy, there’s limited seating, but unlimited craft. The barkeep will make a Prohibition-era drink all night based on your favorite flavors and scents. If you want to make a reservation, according to the Laundry Room Facebook page, all you have to do is send a detailed reservation request to 702-701-1466. Staying within the Prohibition-style decor and theme of speakeasies is Oak & Ivy. Placed adjacent to the lawn area inside the Downtown Container Park, it serves as an ideal spot to enjoy your libations either inside their intimate bar area or on their raised patio. Both spaces are just a few steps away from the Container Park stage, just in case you come on a night that has live music. So you are close to the action. Check out the Downtown Container Park website so you don’t miss any local entertainment. This bar is located in Gold Spike Hotel and Casino. Guests will definitely enjoy playing giant Jenga, life-sized beer pong and chess, and other games like shuffleboard and ping-pong – plus, they feature live music and DJs Thursday through to Sunday. Let’s not forget that MTV’s The Real World cast filmed Season 31 out of this local hotspot. Established in 1952, Atomic Liquors boasts its position as Las Vegas’s oldest freestanding bar. Their neon lights give you the feeling of old Vegas, while their cocktails are a bit easier to swallow than the straight liquor served so many years ago. Like many Downtown Las Vegas bars, Beer Garden has created a beautiful outdoor area for you to enjoy. Their extensive list of draft beer will keep you lounging in the courtyard all night! We like to focus on the drinking around here, but the food at Downtown Cocktail Room has to be mentioned–it’s German, and it’s delicious. Located in the Downtown Las Vegas Arts District, there’s a reason that ‘art’ is in this bar’s name. The lounge houses a main area and three separate rooms for a more intimate experience, and each room features different art and photography from local and national artists. Museums can be stuffy and overwhelming, but don’t let your thirst for culture go unquenched. Visit Artifice for a cool, local hangout and some art appreciation. Beauty Bar is considered the first establishment to begin the DTLV revival. During the day, the Beauty Bar offers manicures, pedicures, and specialty cocktails. At night, the atmosphere transforms into a top-quality live music venue. There’s something for everyone to love at this New York City-founded spot. Beauty Bar’s two stages host live music from a variety of genres every night of the week. There is also an indoor stage that can’t be missed as this is used for more intimate performances. We’ve barely scratched the surface of what DTLV bars have to offer. Book a reservation with Vegas Pub Crawler through Downtown right away and see why partiers love us so much! We’ve kept a few secrets from you, so we’ll have something to show when you visit these pubs and restaurants. Book today to find your new favorite drinking spot.